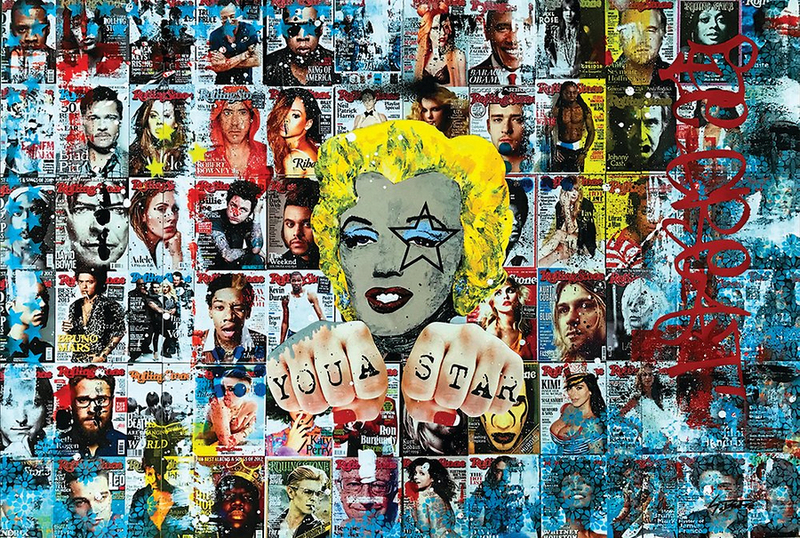 'You A Star' celebrates Marilyn Monroe's natural star power delivered in a pop / grafitti-esque style. Set on a backdrop of Rolling Stone magazine covers, the work also celebrates the star power of numerous other celebrities. Motivation is the message.